It’s the time of year again when we prepare for the outdoor activities, family travel, hot afternoons, and the late nights of summer. For some of us, that means an actual relocation, such as heading home from college or getting ready to migrate back up north from the winter home. For others, it just means that life is going to do that thing life does a couple of times a year: Change. At Bargain Storage, we offer seasonal storage for any situation. For many people, preparing for summer means making space for all of the extra activities and extra people summer brings. For business owners it may mean changing out seasonal inventory or storing winter displays. For busy parents, it may mean swapping out ALL that winter gear for ALL that summer gear. Regardless of the particular situation, you will find storage spaces with us to fit any need. Your first decision as summer approaches will be what to store. We always recommend a purge of unneeded items first. As you go through things, keep in mind the size of storage unit you want. Sizes range from closet, to room, to garage as needed. Also, remember that summer in your neck of the woods may require climate-controlled storage spaces to avoid moisture buildup. Clothes: To store winter clothes, go through them first and remove anything from the pockets. It is highly recommended that clothes be washed prior to storage as well. Clothes store better when they are folded, rather than hung, because folding minimizes stretching. Special Materials: Leather shoes, purses, and jackets should be cleaned and rubbed with conditioning oil to prevent drying and cracking. Fur needs to stay cool, so climate-controlled is best, whenever possible. Wool should be professionally dry cleaned and stored in a breathable garment bag or box. Also with wool, it’s best to use cedar blocks instead of mothballs to keep away moths and insects. Cotton, rayon, and synthetics should be cleaned and folded in breathable garment bags or boxes. Equipment: Storing snowboards and skis means cleaning them up first. This includes cleaning the surfaces, sharpening or sanding the edges, applying fresh wax to prevent drying out, and storing them in their bags (or in sheets) to keep dust off and to keep them from warping or rusting. Also, winter sports equipment should be stored upright on soft surfaces, such as carpet pieces or towels. Boots: Winter boots and ice skates accumulate moisture when they are used, so the liners and insoles should be removed for hand washing and the shells wiped down and dried thoroughly before storing. The boot shells should be stored with the binders laced up and fastened to maintain their shape. 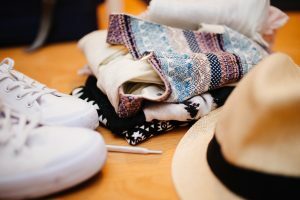 Purge: Sometimes it’s hard to think past the relocation to what will be coming after it, but it’s important to get rid of the things you aren’t going to need upon your return. Will you be moving off campus and out of the dorms? You probably won’t need the mini-fridge or the dorm-sized bedding and furniture. Will you be returning to a furnished apartment? You can probably get rid of that old couch. Reselling what textbooks you can and donating anything extra will save you time and money in the long run. Plan: With any seasonal storage it’s best to make sure you are getting the right size unit for your needs. It doesn’t make sense to rent a larger space and it can be frustrating to be stuck with something too small. Pack: Long term storage is best done with newer, sturdier boxes and packing materials. Wrapping large items in plastic will cause a buildup of moisture, but wrapping them with white sheets will allow air to flow and will avoid colors bleeding onto the items. Dishes and glasses should be wrapped in plain newsprint when possible and stored with a lot of filler. Books should be stored horizontally in boxes, not on their spines. Prep: It’s important to clean appliances and furniture thoroughly and polish wood pieces to seal them well before long term storage. Mini fridges should be stored ajar for airflow, and other appliances should be thoroughly wiped down and never plugged in while in storage. It may be helpful to review our checklist of things that can and can’t be kept in storage spaces. 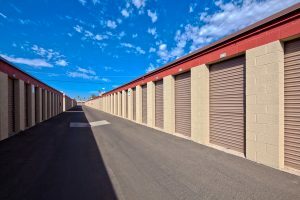 Storage units are needed at all times of the year, but the demand in the summer significantly increases. We strongly suggestthat you act early to get the unit size or climate-control space that is most important to you. We welcome you to contact your nearest Bargain Storage location to determine what space would work best for you.